The horse-drawn carriages of Central Park are a unique activity reminiscent of a past age when carriages were the only form of transportation for moving through the busy streets of New York. 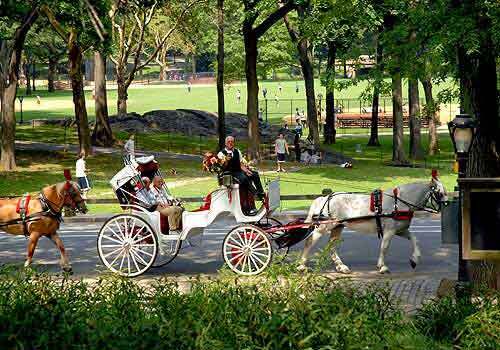 Carriages can be found inside the Park, at Central Park South on East Drive at Grand Army Plaza, Center Drive at 6th Avenue, and West Drive at 7th Avenue. Prices are usually negotiated with the carriage driver.